Our Chaplaincy Team is chosen from children in Year 5, and the pupils have to “apply” to become a Chaplaincy Team Member! Such was the enthusiasm this year we decided to split the group into four teams each named after an Evangelist; Matthew Mark Luke and John. The four teams take it in turns to lead our Acts of worship and serve the School Community by encouraging other pupils to take part in times of prayer and to help keep our Prayer Stations relevant and accessible. The Chaplaincy Team are full of enthusiasm and are always willing to plan and lead our Wednesday Whole School Acts of Worship and help develop the Catholic life of the School. It is a chance to gather together as a school in prayer and pause to thank God for all we have and to pray as a school family. Always try to keep people safe. However, it’s not just the Chaplaincy Team who have been busy inspiring others! On a weekly basis, they join with children from different Classes to take the lead in our Wednesday liturgies and so help other children to understand the Gospel through their creative ideas. It’s really great to be a part of these Acts of Worship every week! Within Chaplaincy, we have two Parish Ambassadors. 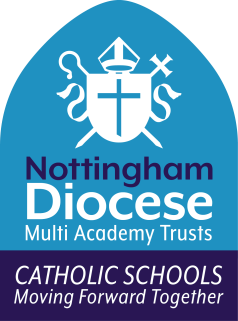 Their job is to link between our Parish, (Our Lady & St Patrick’s) and our Schools (St Patrick’s and The Becket) in bringing you any news of events that will be happening at The Becket and St Patrick’s and they are always willing to deliver any news from the Parish back to school during House Assemblies. This could be some exciting events coming up that we would like to invite you to or any of our fundraising news. As a school we come before you Lord. With Jesus as our role model let us work together to show our love for God and all his children. Help us Lord to work hard to make our schools places where we can develop our gifts and discover how to use them to help others according to your plan.